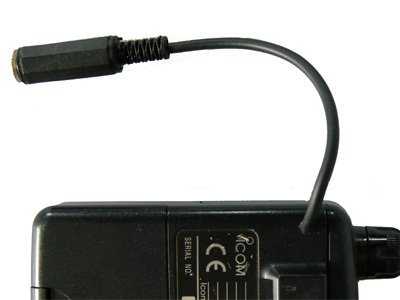 The Icom IC-R2 and IC-R5 are broadband receivers that have a similar enclosure. From the inside as well, there are many similarities between the two receivers. 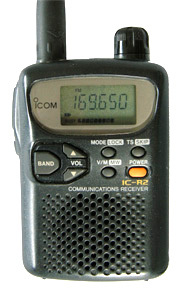 The IC-R2 and IC-R5 have a TA31136 FM IC. 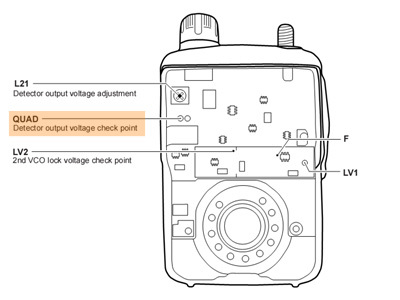 The baseband audio can be found on measurement point 'QUAD', that can be reached easily. 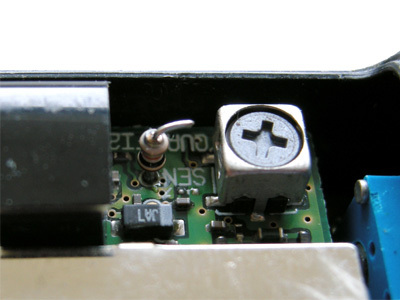 A 10 k miniature resistor (1/8 W) is soldered to 'QUAD'. The resistor's other lead is connected to the inner conductor of a short piece of shielded wire.The shield can be connected to the metal housing of coil L21. There is not much space for an additional chassis socket. 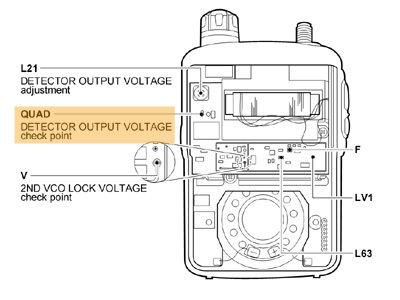 That's why I used a 'pigtail': the shielded wire is led to the outside of the scanner and has been equipped with a female 3.5 mm connector. 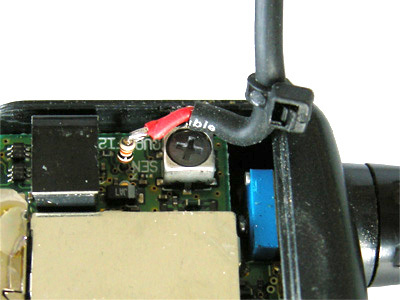 A cable tie on the inside of the scanner is used as a strain relief.